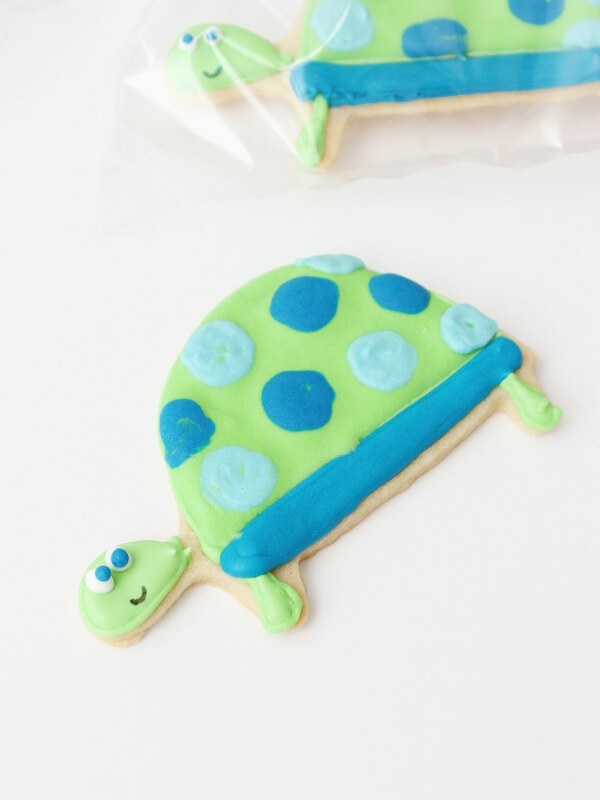 While I was in New York, my mom and I teamed up on a birthday cake + cookie favor combo. The birthday boy, Jordan, who was turning 1, is the grandson of our good family friend, Joan. 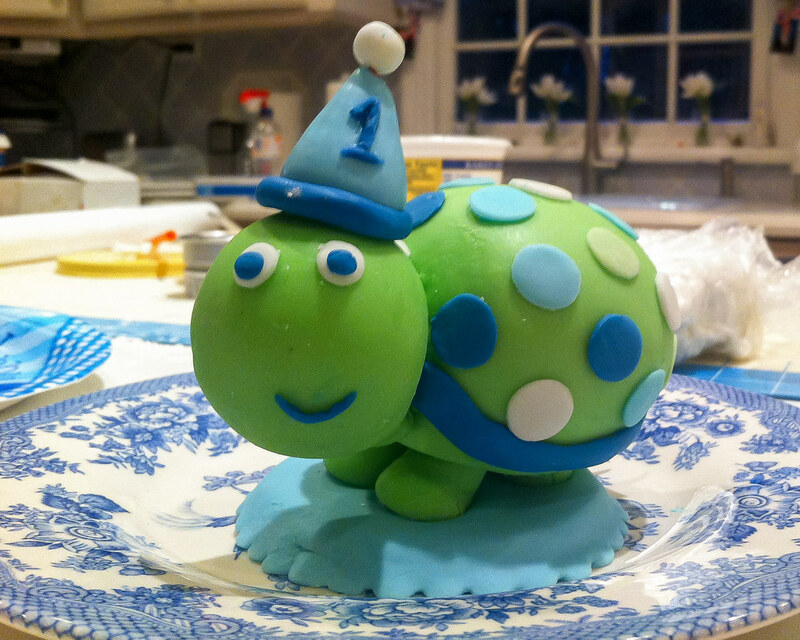 Joan shared the birthday decorations with us for some design inspiration, which were these cute little plates from a set for a 1st Birthday Boy Turtle party theme. My mom's cake was SO adorable but unfortunately -- and I can't remember WHY (maybe because Cole wasn't there) -- but I don't have any pictures of it! I did however snap an iphone picture of the cake topper my mom made the night she was working on it. Isn't it so cute?! 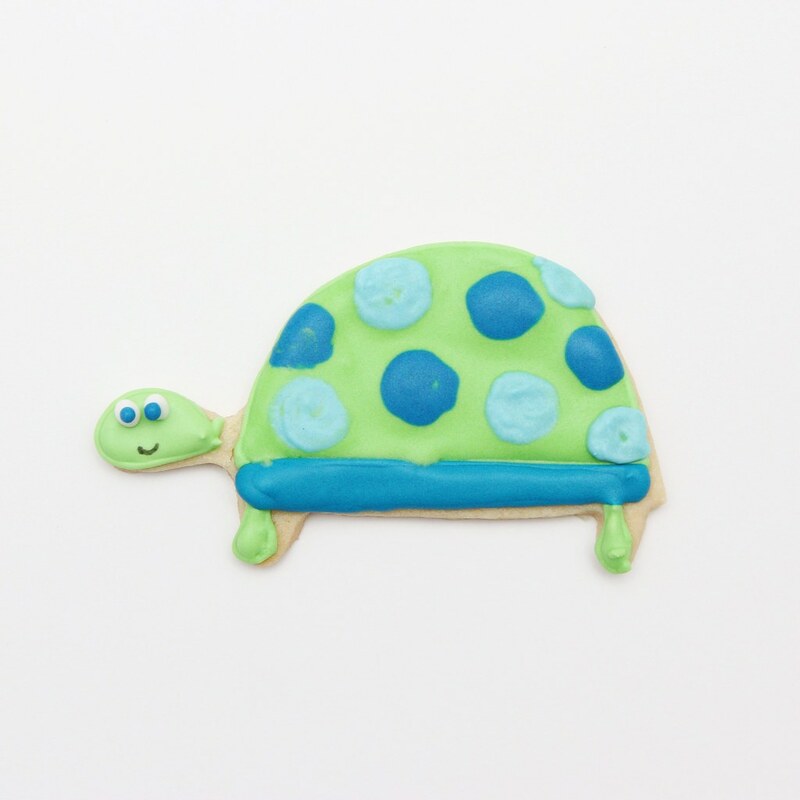 So this time, you will have to imagine how cute it must have looked on the finished cake. Happy 1st Birthday Jordan and thank you Joan!! 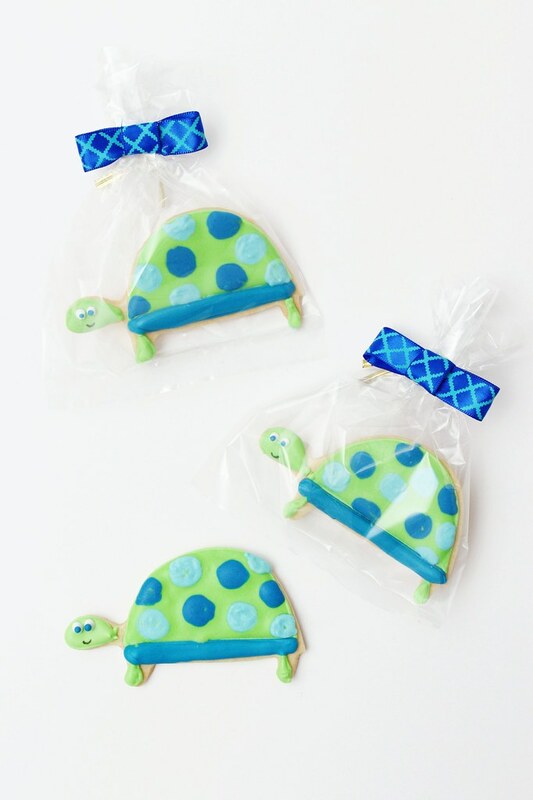 Decorated Sugar Cookies Custom Cookie Favors perfect for gifts or guest party favors at a Wedding, Bridal Shower, Engagement Party, Bachelorette, Baby Shower, Birthday Party, Anniversary, or any Special Event or Occasion!